Not at this price, buy when less then a $1. 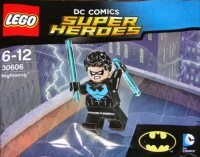 Anyone have a http://brickset.com/sets/30373-1/Knighton-Hyper-Cannon looks like it was only available at LL and/or DC in the USA, but I only see 1 on eBay and all EU sellers on BL. I just need that and the first TRU promo with sticker http://brickset.com/sets/TRUNEXO-1/Nexo-Knights-Shield-Dock to have all the season 1 and 2 sets released in the USA. I had it and gave it away before I decided to get all the sets this weekend for my personal collection.